Upgrade your troops to improve their abilities and skills to make them stronger in battle. 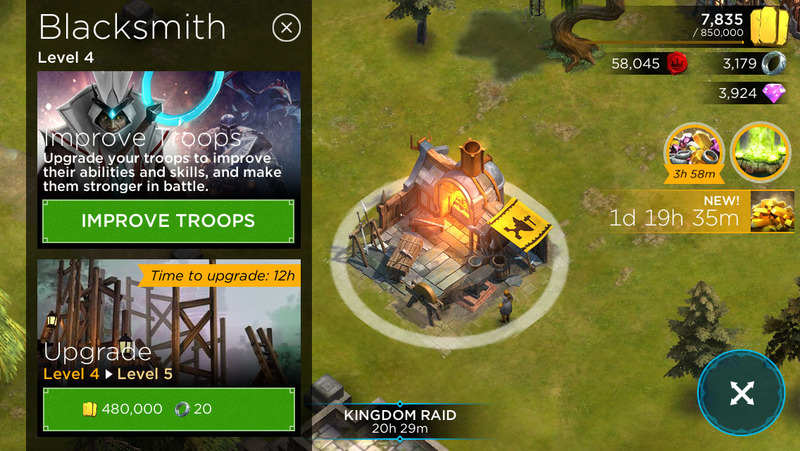 Each level of Blacksmith unlocks more levels to improve your troops! 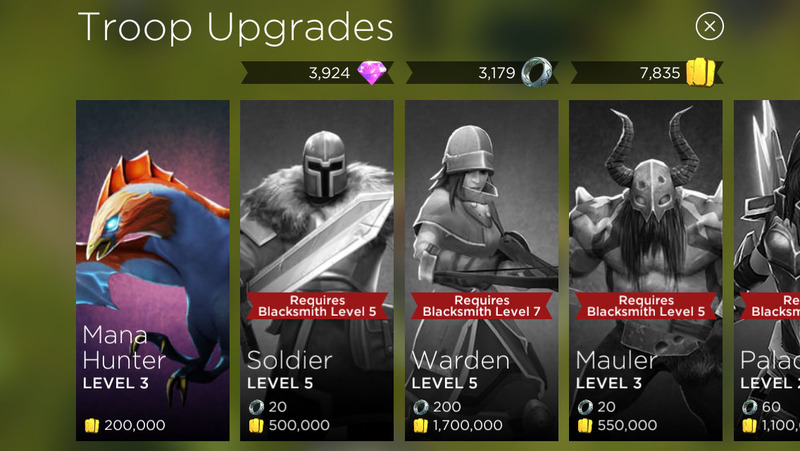 Each level of Blacksmith will introduce higher levels of troops to improve. Upgrading troops will improve their abilities and skills to make them stronger in battle. 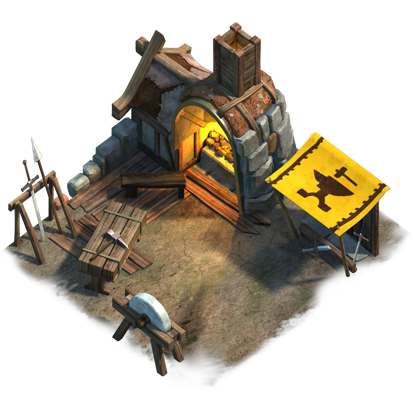 Selecting the Blacksmith from your village will show the cost to upgrade to the next level, as well as an "Improve Troops" button. Tapping the "improve troops" button will show you a list of all your troops, and show which can be upgraded. Upgrading the level of the Blacksmith will enable new troop levels, however the Blacksmith level is restricted by your Stronghold level. 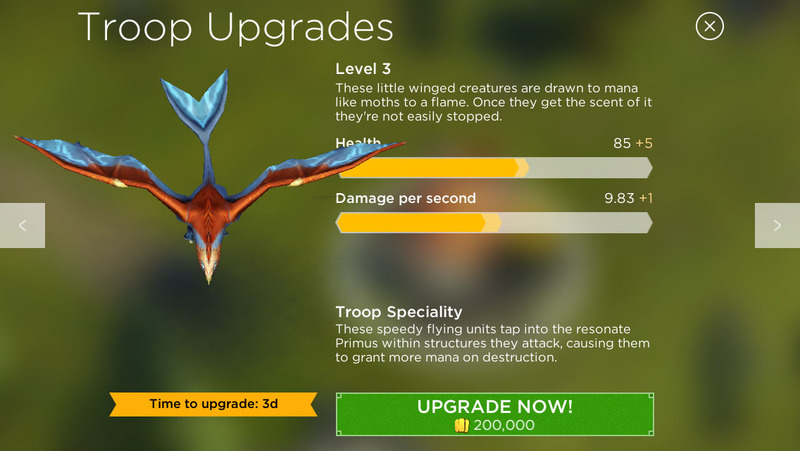 Tapping on a troop will show another screen which reveals the increase in stats and upgrade time. You can only improve 1 troop at a time, so plan carefully.